StreamToMe is a simple, yet powerful, media player for iOS and Mac that plays media stored on another Mac or PC computer over the network — local, non-local WiFi or 3G/4G — to your iOS device or Mac wherever you are. StreamToMe is no longer available from either the iOS or Mac App Stores. We will continue to support our existing customers as long as we can. 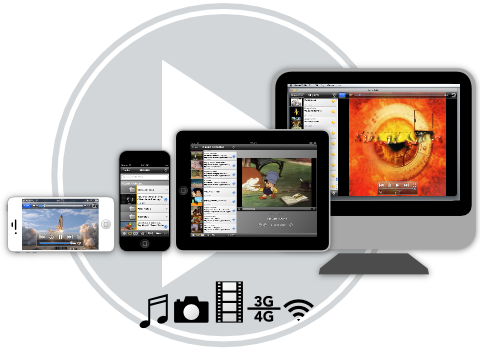 ServeToMe is the streaming media server that serves media to the StreamToMe app. Install it on your Mac and Windows computers so you can stream from them to StreamToMe. Learn more about Objective-C and Cocoa development through code samples and tips on Mac and iOS development from zqueue developer Matt Gallagher on his programming blog, Cocoa with Love. Read our Getting Started information for the StreamToMe media player or get further support and troubleshooting information on the StreamToMe support topics page. Learn how to set up the ServeToMe server and use its advanced settings on the ServeToMe further features page.